For the first time in years, there’s a new Wrangler in town. Clearing the way for its counterparts, like the Grand Cherokee or Compass, this Wrangler is not afraid to conquer any terrain you dare throw at it. What makes the 2018 Wrangler JL unique is its complete redesign, the first since 2006, which places new focuses on efficiency, technology, and of course four-wheel-drive off roading. The new Wrangler combines these new elements into an instant classic that nods to the original Willys where it all started. The various trims of the Wrangler JL— Rubicon, Sahara, Sport, Sport S—are proudly ushering in a new era of eco-friendly, state of the art features. Our review should help bridge this gap so Irving drivers and beyond can learn more about this new Wrangler that offers efficiency as a center point of its design. You’ll quickly find that this is Jeep you’ve been waiting for all along and it’s available right now at Boerne Dodge Chrysler Jeep Ram . In it’s life time, the Wrangler has never deviated far from it’s timeless design, but the new redesigned JL may be the first to actually refine this template while staying faithful to the original form. At first glance at its exterior, very subtle, minimal changes have helped the new JL take a fresh but familiar shape. Now new additional front headlights and a slightly more raked windshield improve nighttime visibility and aerodynamics while also improving the easability of folding the windshield flat. A new steel frame supports the Wrangler’s backbone while weight-saving aluminum is used in the hood, fenders, doors, hinges and windshield frame. The tailgate is larger as well as the wheelbase which increased by 1.4 inches to 96.8 in the two-door model, while the four-door’s width has increased 2.5 inches to 118.4. Even the length has increased to 116.8 for two-doors and 188.4 for four-door models. The JL is the largest and lightest Jeep Wrangler. You’re likely to find a Wrangler parked out at the trail head, but we guarantee you’ve never seen one like this. The new JL will come in many shapes and sizes so which is best for you? First, you should decide between two or four doors. The Rubicon, Sport, and Sport S trims are available in both, but the Sahara is only available in a four door setup. But unlike previous Wrangler builds, new stock features like a push button start and backup camera bring the Wrangler JL straight into 2018. Fog lamps, skid plates for the fuel tank and transfer case, tow hooks, cruise control, five USB outlets, side airbags, and hill-start assist all make the cut as standard features making every JL a sporty addition to San Antonio streets. If your lifestyle demands towing, you’ll be pleased to know that electronic trailer-sway control also comes standard but you don’t have to stop there. An optional towing package provides a Class II hitch receiver, four-pin and seven-pin adapters, a 240-amp alternator, a 700-amp battery, and included auxiliary switches. Drivers will get a maximum tow rating of 2000 pounds for the two door and 3500 for the four door. Also standard on the JL is the improved Sunrider softtop. No zippers are required to open your Wrangler to the Texas sun. But for drivers seeking an even more convenient option, look no further than the Sky One-Touch power-top. Simply press the button and the electrically operated full-length canvas roof will slide rearward giving you and your passengers full access to the sun and sky. The One-Touch roof is only available on Sahara and Rubicon four-door Wranglers. But for those looking for a more secure driving experience, we recommend going with a full hardtop or even the optional three piece Freedom Top which opens you up to various driving configurations. One of the greatest improvements to the modernized Wrangler is its redesigned powertrains. First is the Pentastar 3.6-liter V-6 which churns out an aggressive 285 horsepower with 260 lb-ft of torque. This powertrain is embedded with standard start/stop functionality which can be disabled if preferred. Coming soon for the 2019 model will be a diesel option familiar to the Ram 1500. This 3.0-liter V-6 comes in at 260 horsepower with an unruly 442 lb-ft of torque boosting the capability of the JL even more. 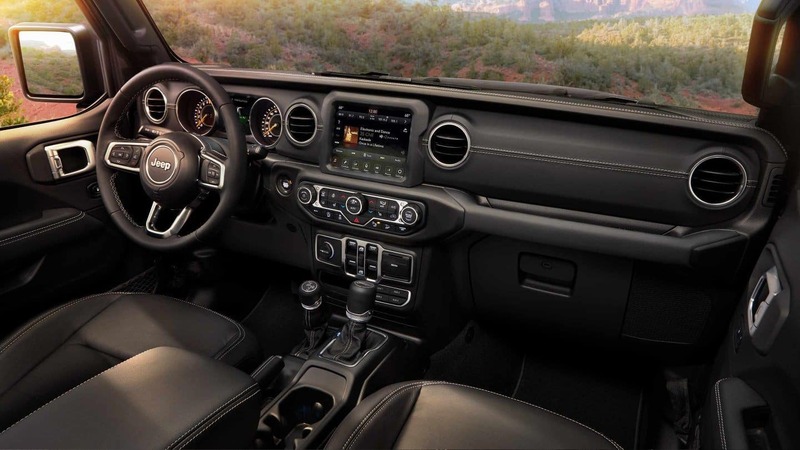 But what intrigues us and many drivers throughout the Boerne area is the hybrid Wrangler JL coming available at Boerne Dodge Chrysler Jeep Ram . This hybridized Jeep produces 268 horsepower and 295 lb-ft of torque all in the name of efficiency. The combination of an improved internal-combustion element, an electric motor, as well as improvements to an independent cooling air intake help to make the Hybrid Wrangler a viable option for our drivers who are yearning for an even more efficient Jeep than ever before. It seamlessly incorporates start/stop functionality, electric power assist, intelligent battery charging, and regenerative braking into its DNA, changing this timeless vehicle forever. The crawling abilities of the Wrangler have also improved in the 2018 alongside a new Selec-Trac two-speed transfer case which gives drivers full-time all-wheel-drive capability for our “set it and forget it” drivers. This feature is only available on the Sahara model. The new Wrangler interior is a force to be reckoned with. Jeep drivers will make great use of the SirusXM Guardian services which allow you to remotely access a variety of functions throughout your Wrangler. These guardian services may one day help save the day. You’ll also find USB ports throughout the vehicle so you and your passengers can charge, listen, or even navigate with seamless ease. Choose from three different Uconnect Stereo systems which vary in screen sizes and abilities. The Uconnect 3 system offers a 5 inch pinch-to-zoom touch screen with Siri and Bluetooth functionality. Next up is the Uconnect 4 which features a 7 inch touch screen and supports Apple CarPlay and Android Auto and many more driving apps. Finally, the flag ship Uconnect 4C Nav features a massive 8.4 inch touchscreen with Navigation turn by turn directions and access to Jeep Off-Road Pages which gives you a unique look at your Wrangler. 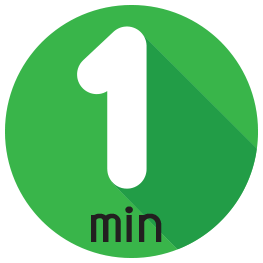 On this application (only available on the Uconnect 4C) drivers can few a wide range of valuable system data specific to their vehicle’s performance. This includes steering angle, fluid temperatures, oil pressure, pitch and roll and much more. Checking in on the performance of your Wrangler has never been easier. Also available is the custom-configurable 7 inch dashboard display. This Multiview Driver Information Digital Cluster Display can be perfectly tailored to your personal needs and will help supplement your driving with nav directions, music information, and even transfer case status and your Wrangler’s pitch and roll. This customizable instrument cluster is just another way the new Wrangler has managed to improve on what was already a timeless design. Upgrade to an Alpine Premium Audio System to get the full listening experience out of your JL. Boerne Dodge Chrysler Jeep Ram is proud to offer complete access to our Parts & Accessories department where you can take your Jeep to the max with additional accessories that make your Wrangler unstoppable. A redesign on a classic vehicle can make all the difference in making or breaking a new car, but we’re proud to report the 2018 Jeep Wrangler JL smashes all our fears. The new Wrangler speaks to multiple generations of thrill seekers, eco-conscious drivers, and sport utility vehicles alike. And Jeep enthusiasts will find even more to love in this already perfect vehicle. The life blood of the new Wrangler is how it cleverly fuses no-brainer features such as the Washout Interior with a weather-proof push button start. The new Wrangler is not only true to its rugged roots, but true to the drivers that drive them. To get the full Wrangler JL experience come in and take a test drive with one of our highly educated vehicle specialists. They’ll be able to answer any question you throw at them and will be happy to show you around the all new Wrangler. Call or visit Boerne Dodge Chrysler Jeep Ram today and happy trail blazing!